Do you know how the e fax can save your business money? The internet fax has revolutionised the way companies around the world communicate and do business. For many years businesses were forced to deal with the unproductiveness of the conventional fax, but this is now no longer the case. Today, we can now benefit from state of the art technology that makes it possible for businesses to save a lot of money on their communications. One of the ways you can look forward to saving money is by no longer having to pay for a dedicated fax line. In some offices where there is such a heavy need for fax machines, some businesses needed to pay for more than one fax line. This would quickly affect the company’s bottom line. You won’t need a dedicated fax line because with the e fax you can use your internet connection as your fax line. This alone will already save your company a lot of money. Another way that fax to email solutions will save you money is by not having to keep your conventional fax machine stocked with expensive consumables like ink, paper and toner. You also won’t have to pay for the maintenance and upkeep of your fax hardware. Your employees and office will experience greater efficiency which will also lead to greater turnover and your business will save more money overall. 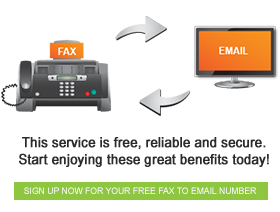 These are only a few of the ways how fax to email technology can benefit your business and save it money.